JEFFREY TOOBIN is the bestselling author of The Nine, for which he won the J. Anthony Lukas Book Prize, The Oath, Too Close to Call, A Vast Conspiracy, and The Run of His Life, which was made into the critically acclaimed FX series The People v. O. J. Simpson: American Crime Story. He is a staff writer at The New Yorker and the senior legal analyst at CNN. 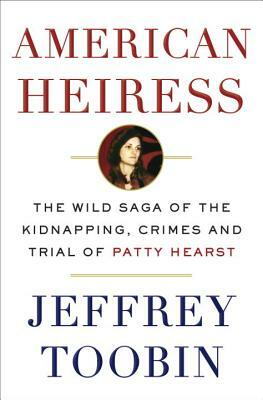 "The abduction and subsequent radicalization of Patricia Hearst is one of the most bizarre but illuminating episodes of that tumultuous era of protest...and in American Heiress Jeffrey Toobin retells the story with a full-blown narrative treatment that may astonish readers too young to remember it themselves...Toobin spins this complex chapter of recent history into an absorbing and intelligent page-turner." "[A] clever companion piece to The Run of His Life (1996), his book about the O. J. Simpson case. Mr. Toobin has used the same winning formula of delving deeply into an American crime story that had tremendous notoriety in its day and retelling it with new resonance. Ms. Hearst’s tale is much more bizarre than Mr. Simpson’s... [I]n an age of terrorism, the chronicle of how a sedate heiress named Patricia morphed into a gun-toting, invective-spouting revolutionary calling herself Tania holds a definite fascination." “Terrifically engrossing…Toobin uses his knowledge of the justice system and his examination of the evidence to pierce the veil of spectacle…As for Patty Hearst herself, Toobin treats her as a person, not a tabloid phantasm. “[A] spell-binding retelling … In the end the real test of a writer’s worth is…how well they can tell a story that’s already been told many times before by many different people, including — in this case — by some of the main characters themselves. By that standard Toobin gets an A-plus for American Heiress… Everything about this book feels right: the structure, the style and the tone, which is the New Yorker meets Raymond Chandler. As always with great writing, it comes down to a strong, distinctive narrative voice spiced with the judicious use of juicy details.